My name is Jennifer Poling and I have 2 amazing boys, Zachary age 12 and Tyler age 10. Both of my sweet boys have a rare disease call Duchenne Muscular Dystrophy (DMD) and are in process of getting power wheelchairs to enable them some independence and mobility. 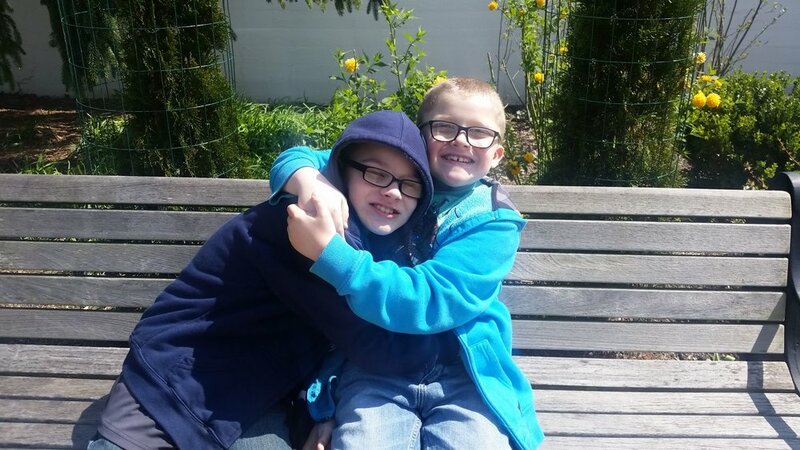 The last 10 years have been an emotional roller coaster as I knew a day would come when their muscles would deteriorate to the point of being wheelchair bound. Now it’s here. This fatal muscle wasting disease is robbing my children of so much we all take for granted. From being able to walk, eat, dress, write, all independently and even finding the strength to keep going is a daily struggle. Both boys are currently in middle school and they are realizing now they can’t physically keep up with their peers as they get fatigued throughout the day and teased by other kids. Also, Zach has been recently diagnosed on the Autism Spectrum Disorder which has made our life a little more complicated. Power wheelchairs will provide them much more freedom, and help them feel more normal as they will be able to navigate spaces more independently, something every preteen wants. However, I do not have a vehicle to transport their chairs, insurance does not cover the cost which is twice as much as a normal van due to the modifications and equipment to make them wheelchair accessible. The good news: We are blessed that Zach and Tyler have been chosen to participate in the Jett Giving Fund! The purpose of this nonprofit organization is to help families like ours acquire things we need that insurance won’t cover. They will match 50% of the total cost and the boys must raise the other 50%. It seems impossible, but I know there are people out there that care about others and could help provide my boys quality of life and safety. This van will enable them to go places like other preteens and stay engaged in community, have comfort and safety as we drive to doctor appointments, and get them to and from school with no limitations. Please if you can donate, any amount would be greatly appreciated and you will be a part of transforming Zach and Tyler’s lives!